We are engaged in manufacturing and exporting of superior quality multifunctional portable line boring machines. Our range of Boring Machine caters to the requirements of various industries such as engineering, automobile, construction etc. Further, these portable boring machines are manufactured using highest quality raw material which are procured from trusted vendors and are known for their robust design, high performance and low maintenance. Our boring machines are offered in various technical specifications to meet the customer's specific requirements and demands. Our machines are exported to USA, Germany, Italy, Brazil, UK, Canada, Australia, South Africa, UAE, Saudi Arabia, Denmark, Dubai, Kuwait and many other countries across the globe. With a significant progress of infrastructure and manufacturing industries, there has been a growing demand for accurate designed boring machines for engineering purposes. The most advanced and technically revolutionary portable line boring machines has been widely used across numerous industrial segments for accurate machining of medium and large parts. The functions of a portable line boring machine are plenty. 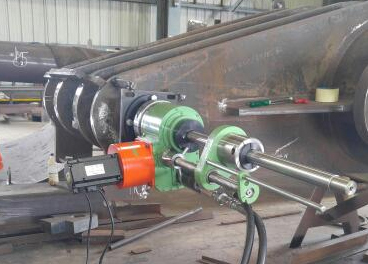 This boring machine is capable of measuring bores using calibrated internal and external micrometers and its size ranges from 30 mm to 2500 mm in diameter. The advantage of using portable boring machine equipment is that precision field machining bores can be done on site. This low weight machine is easily portable from one place to another. SH Engineering is one of the renowned portable boring machine manufacturers in India. We have done a lot of research and development works to design and develop this most advanced line boring machine. This machine is unique of its kind and appreciated for its unique design, functionality and robustness. The Borematic BL-3000 is composed of portable in line boring. SHE is developed the portable machine tools have different advantages. 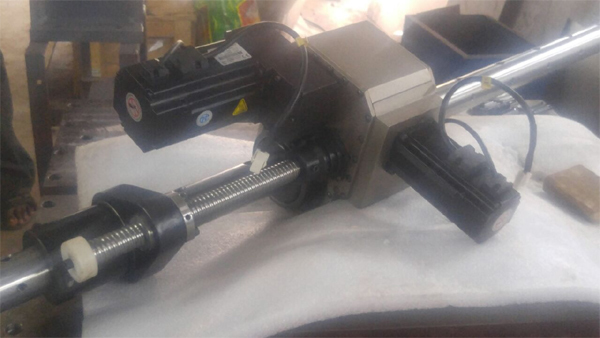 The main features of the machine is less handling weight ,machine fixing divided three methods and easily man can fixing very less time .main body ,feed gearbox and feed screw. Unit function controlled by control pendent. Control pendent will be having control push buttons for machine start/stop, auto/jog, jog CW/jog CCW, feed motor speed variator, spindle speed variator, feed stop button, emergency button. 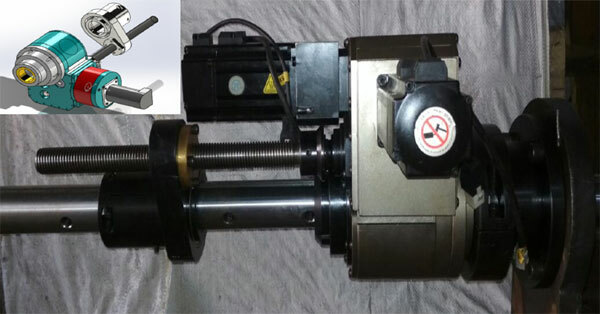 Maximum out put speed 30~200 and sufficient servo motor with speed gearbox system . Unlimited longitudinal stroke. Fine speed servo controller unit. 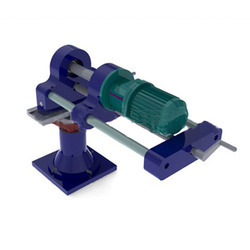 Use of servo motors for rotational speed,with servo controlled reduction gear box operations for feed mechanism. 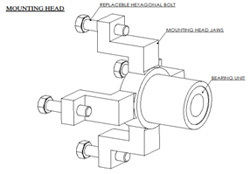 Limit is given by the length of the connectable boring bars. and the different signs left by the tool-holder at the beginning and end of the limited feed. The Borematic series has been created with an attention to a user-friendly interface. User voltage the machine at 415 volts (three phase).